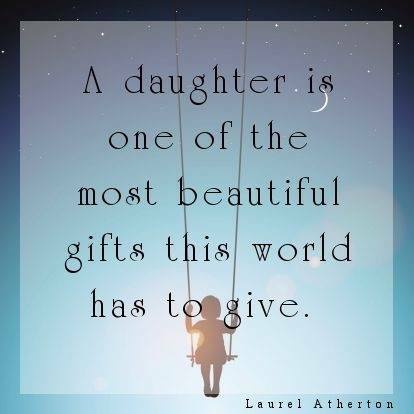 A DAUGHTER IS ONE OF THE MOST BEAUTIFUL GIFTS THIS WORLD HAS - ProudMummy.com the Web's Community for Mums. True i have 4 of the best. What about sons? Aren't they just as beautiful? (Why are all of these "sayings" always about daugthers?